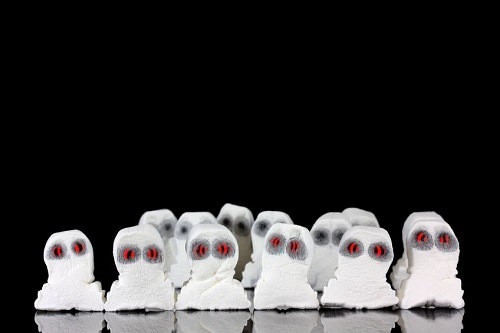 You will need some food safe markers and some large marshmallows to prepare zombie marshmallows. Draw faces on the zombie candy and add red marker blood and wounds. You can even look for green marshmallows to make them a little more zombie-like.